Little ones love being involved in the kitchen. Baking with kids should be fun, creative, and simple so we have decided to share one of our most favorite, beloved, and simple cookie recipes. You can even enjoy a round of checkers while your cookies bake in the oven! 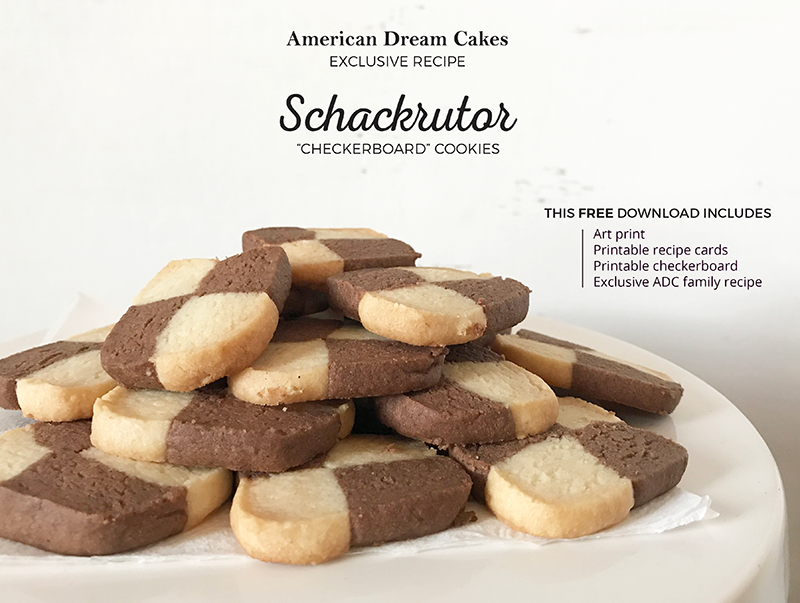 Sign up to receive a free download of our Schackrutor “Checkerboard” cookies.